Does this happen to you every night? Your spouse or roommate wants to turn up the TV so loud that it hurts your ears. It doesn’t just happen to people who live with seniors; hearing sensitivity is different for everyone and what is comfortable to one person is downright painful to another. What about if you live with someone who desperately wants to focus on the program but everyone else wants to talk over it? What about a child on the autism spectrum who needs to focus in a different way that the rest of us? It’s a Bluetooth headset, so people with sensitivity to being wrapped up in wires will like it. It’s specifically designed to work with people who have hearing aids, without forcing them to take them out. For people with balance issues or differential hearing loss, you can set the level in each ear differently. For people who have hearing loss and don’t want to admit it, they can increase the volume by up to 125dB (although that’s probably a bit too much for most folks. 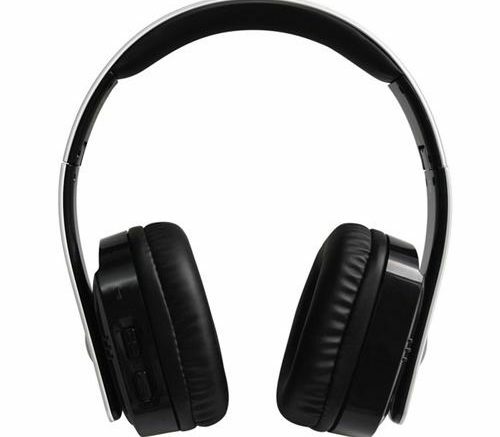 The large, comfortable ear cups also filter out a lot of ambient sound so someone can enjoy the program in peace without a lot of distractions, which can be extremely important to people who see and hear the world differently than most people. The best part of this headset right now is that it’s available at a special price from Solid Signal. Don’t wait, because there is only a limited quantity available right now. Learn more about Sonic Alert products at their Facebook page!